Escape! But stay within the restricted height! This is actually my first level I created with the Level Editor. The objective is pretty simple and easy to build. 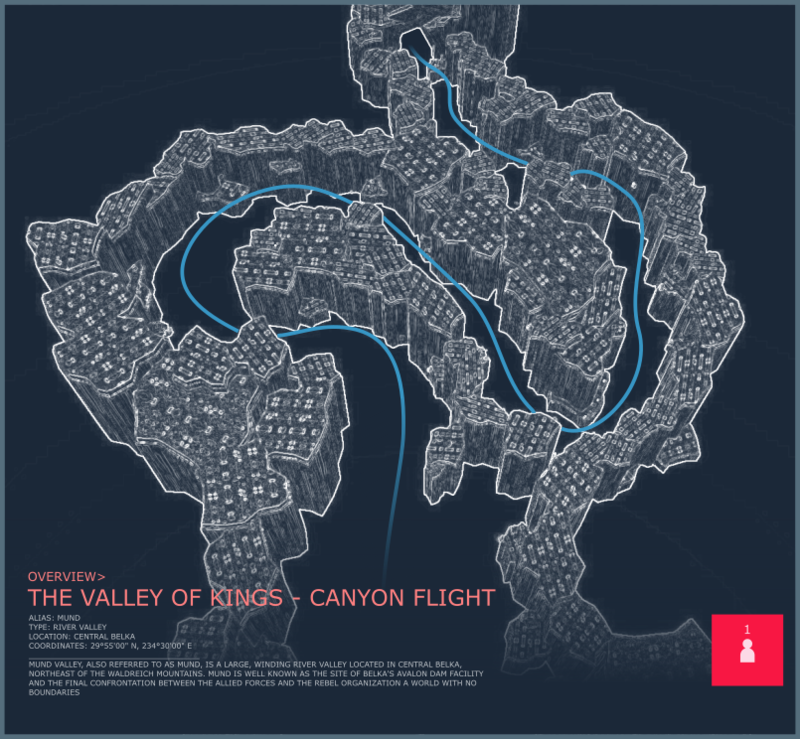 Taking inspiration from recurring gameplay feature in the Ace Combat games, canyon flight is a test for pilot to fly their aircraft at very low altitude through a series of canyons or ravines in order to avoid intense enemy anti-aircraft defenses blanketing the airspace above. The reason why I call this Valley of Kings even though it doesn't even resembles said the valley from Ace Combat Zero was because I proceed to build Avalon Dam after this and I like if these two level were connected. Set zero-g, press pitch, roll, and yaw without turning on engine. If your plane rotates, then it's non-realistic. Other VTOL gimmick does not matter. got a bit itchy with being the last place, so I decided to re-run it. 18.32sec, Anakin Skywalker's Pod Racer. Used resize and no bounds mods.